Growing up in Asia, I kept hearing about feng shui and how placement of furniture can have an effect on your love life, finances, health, and overall well being. Mom would tell me, “Don’t put your bed there, facing the window! It’s bad feng shui!” It scared me so much that at one point, I honestly believed I was going to be kidnapped by large birds right from my bedroom during my sleep. And this is why I never read too much about the topic. I’d spend my life wondering if my placement of a table led to the untimely death of my goldfish, or some other tragedy in my life. 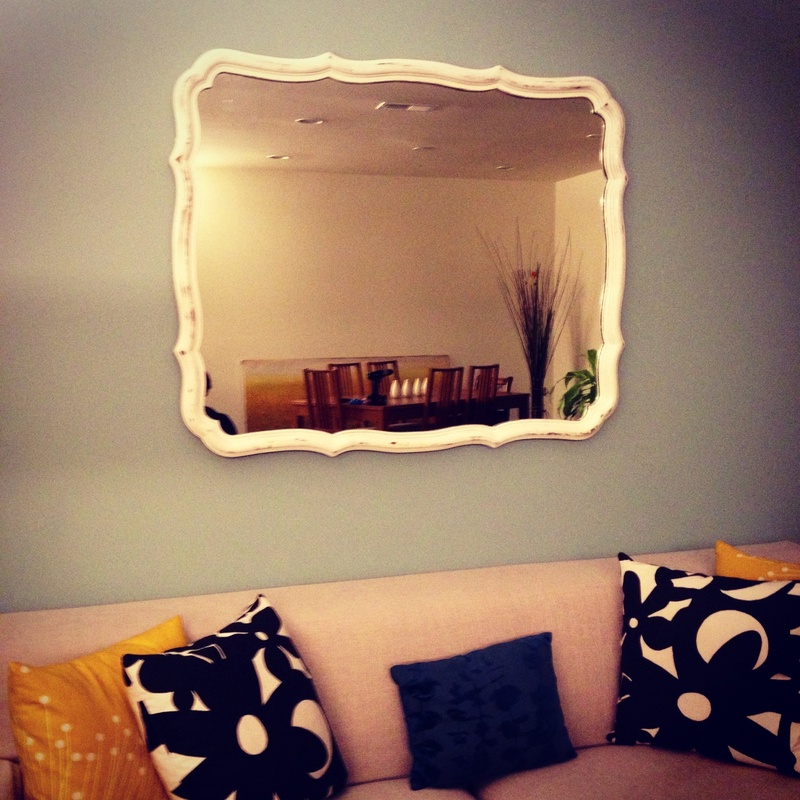 One feng shui concept that mom encourages is the use of mirrors – correctly. Mirrors reflect light and expand space to bring in more qi, leading to increased prosperity (I didn’t make this up, my peeps did). So when I spotted a slightly ornate mirror at my local Sally’s Army, my feng shui instincts kicked in. The frame was a dated brown but a little paint would take care of it. There’s a whole world of beauty at these stores waiting anxiously to bust out of their deceptive facades. Happily, I went home with my $17 mirror. 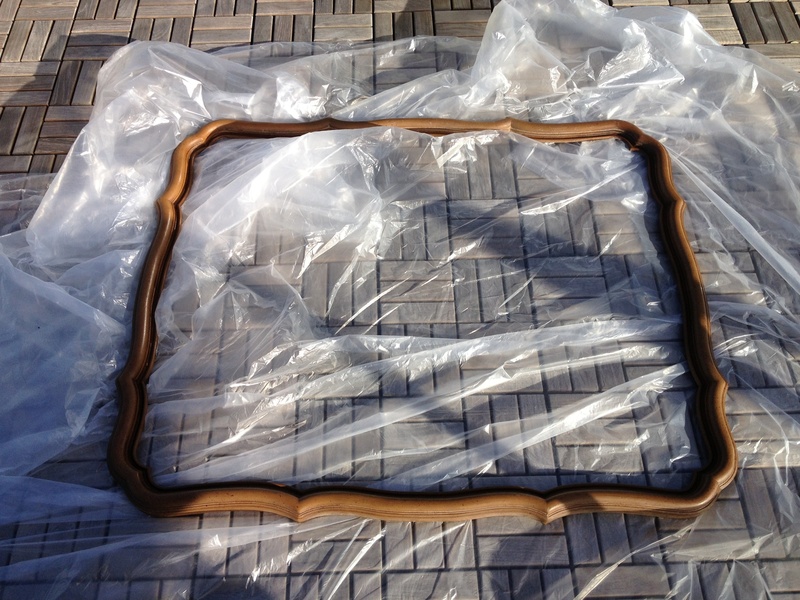 A little sanding..a coat of white paint…and voila! It wasn’t as easy as I had painted in my head. Like most DIY projects, I believe you have to add about twice the expected labor time and cost of materials or equipment. Thankfully, paint and sandpaper cost very little and I didn’t mind putting in the time to achieve DIY nirvana. After several trips to Lowe’s and dealing with paint wrinkling issues, a pretty little mirror emerged and is now a hot feature in our living room. Just the right amount of ornate with a whole lot of qi.